BAUER Oceanus 6HP, Gas - August Industries Inc. In the world of portable compressors, none compare to the features of the Bauer OCEANUS. 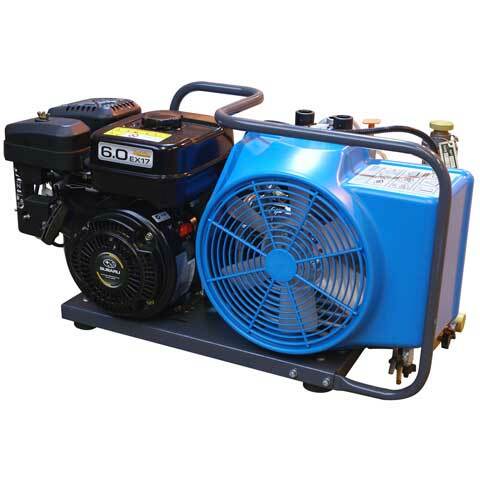 The Bauer OCEANUS is unique in having a pressurized lubrication system with a large oil sump capacity for the up most performance in a portable compressor. No other portable compressor has these unique standard features in such a small package. German engineered and built with precision and pride, the OCEANUS stands alone in the field. Standard features include stainless steel base and handles for durability.